Infantree’s full-length debut CD “Would Work” is an album that’s full of surprises. Composed and recorded by a Los Angeles-based quartet, “Would Work” delivers a shockingly mature sound that you wouldn’t otherwise expect from a group of kids in their early twenties. But the truth be told, that’s not even the best part. 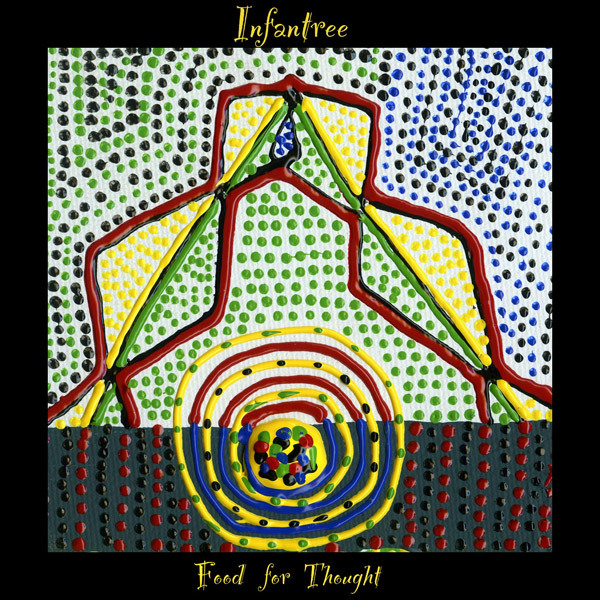 The most mind-blowing aspect is the fact that Infantree followed a very unconventional route of creating the album’s music. Unlike the traditional each-man-to-his-own-instrument approach, three of the band’s four members alternated songwriting duties and instruments for each “Would Work” track. You do not often find three members of a band who are trained in songwriting, guitar, bass, vocals, and piano. Not only does this show talent and drive, it also shows an incredible range of versatility. Indeed, versatility powers this album. Interestingly enough, the members’ sources of musical inspiration vary as greatly as the breadth of instruments they’ve mastered. The end result is the fusion of sounds from disparate musical genres that Infantree’s listeners quickly notice. The music spans from slow blues, twangy folk, to fast-paced alternative rock. For precisely this reason, it’s difficult to peg “Would Work” to a known tone, which is Infantree’s point. They don’t want to be bound down by a single popular style—their mission is to explore various types of music through personal musical inspiration and collaboration. Surprisingly, Infantree’s exploration in sound can serve as a downfall. More specifically, whether the depth of eclecticism present of “Would Work” will serve them well is questionable. Most of the album’s tracks contain the same exact mixture of genres timed at almost equal points in each song. Creative, yes, but ultimately this fusion/organizational technique makes these songs sound all the same. This certainly isn’t something that you would expect from a group whose mission is to stray from playing just one sound. Perhaps for now this goal is nascent and overreaching. Either way, it merits some examination. The best example comes from comparing “In Line” to “Rubbed Raw.” Both songs fall into the typical folk/blues/alternative pattern. Fast riffs precede slow bridges that carry listeners into the next genre represented in the song. The only difference is that “In Line” is played in a slower tempo—not much of a change to distinguish one track from the next. All Infantree’s listeners are left to believe is that the faster song is a way to bring the droning, oftentimes ongoing one that precedes it to a better conclusion. In short, this creates a bit too much cohesion that gets boring after a while. Either that, or individual songs contain too many genre changes, tone inflections, and vocal effects that end up creating the opposite problem: an uneven listening experience. “Water,” the opening song, falls victim to this. Beginning with an ambient overture with a harmonious vocal duet, “Water” quickly gives way to a busy beat that accompanies a disproportionately slow chant sung from above. All in all, the album is a true juxtaposition: either too similar in construction, or too many things happening at once that together create an odd balance. Still, praise must be given to Infantree for creating this new path in music composition. It shows talent, drive, and a nice disregard for mainstream approaches of making music. They’re sticking to a meaningful goal and working hard to make sure it comes to fruition—something that not a lot of people of their age can do. Most of all, they’re allowing their listeners to gain exposure to styles they wouldn’t otherwise listen to. But being youngsters as they are, they have plenty of room for musical maturation. If they’re producing these ideas now, then that’s a good sign—it shows that we can expect more growth in albums to come.